Start by resetting the GFI switch by pressing the button on the outlet that powers your koi pond pump. 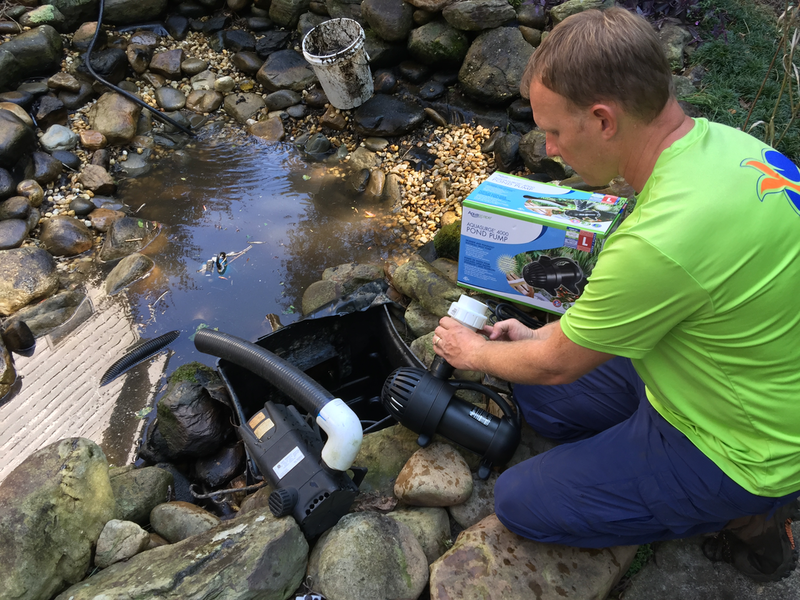 Installation of a new koi pond pump in a skimmer filter in Flowery Branch, GA.
Submesible koi pond pumps generally last about five years, so if yours has stopped working it's a perfect time to upgrade to a pump with a longer warranty and one that is more energy efficient. It's quite possible that the proper pump was not selected for your pond initially. 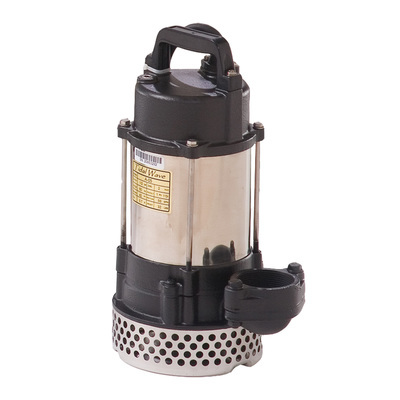 We will select the proper submersible pump, install it correctly and warranty the new pond pump for you. 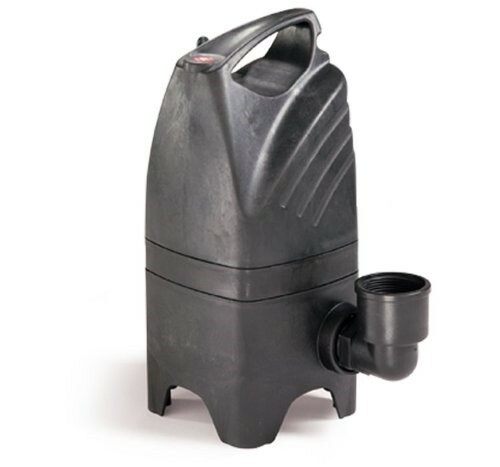 Please fill out the form on the bottom of this page which will provide us some general information about your current pond pump. 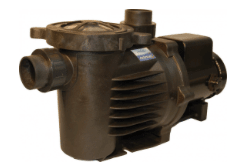 To start, let's start with some pump troubleshooting to make sure your pump is really in need of replacement by following these simple instructions. 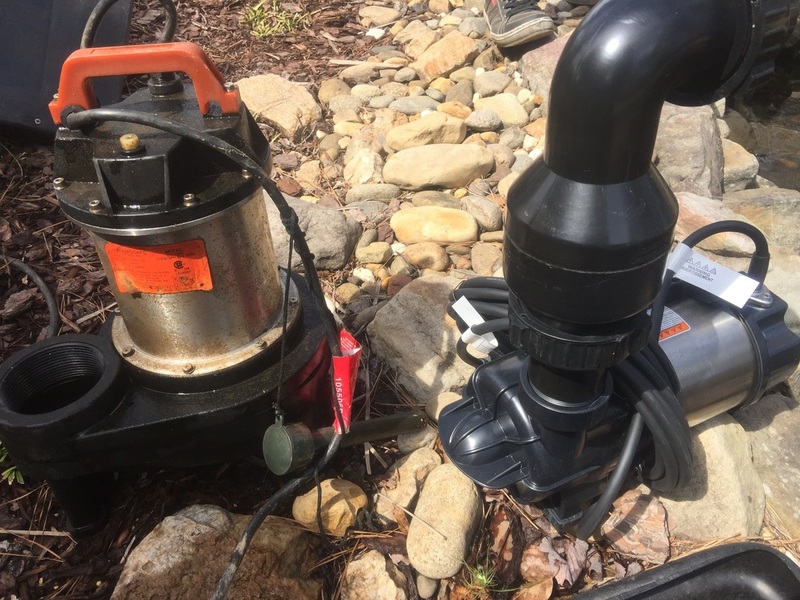 Before we come out to your home for a service call to either fix or replace the pump we would like to know if the pond works when you plug it into a different outlet using a extension cord. Sometimes the GFI outlets can go bad in outdoor conditions, so the extension cord test will rule that out. Also try pressing the reset button on the GFI outlet that the pump is plugged into (see image on left) incase it tripped for some reason other then the pump. If it just rained heavily and your pump stopped, check the GFI to see if it just tripped off. If you plug the pump in to a new outlet or the same outlet, after resetting the GFI, and it trips off the outlet the pump needs to be replaced in most cases. If your pump is still runing but the flow is reduced, try cleaning the pump as it may just be clogged with algae, debris or pine needles. 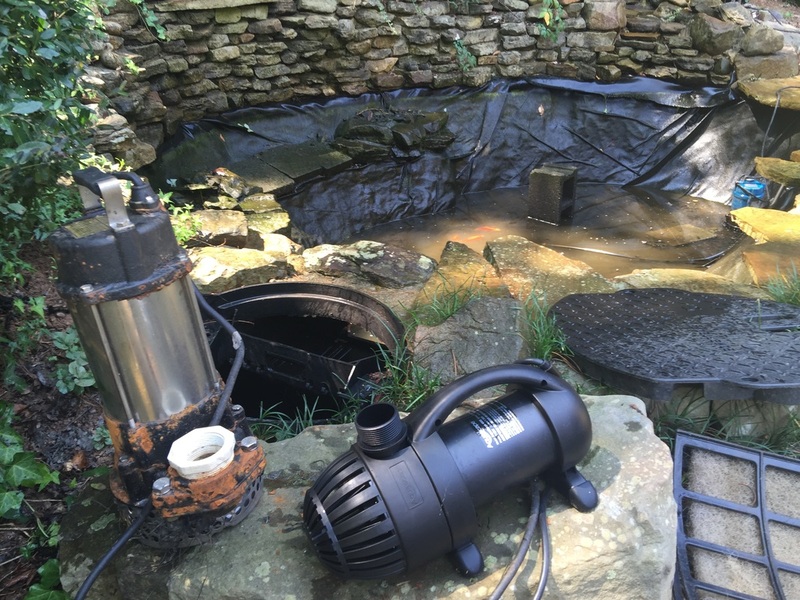 Do you see your koi pond pump or waterfalll pump in one of the pictures below? 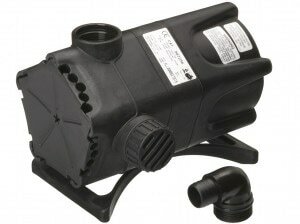 Aquascape 3pl 3000 GPH koi pond pump. Aquascape Aquaforce pond pump. Flow rates from 1000 to 8000 on various models. 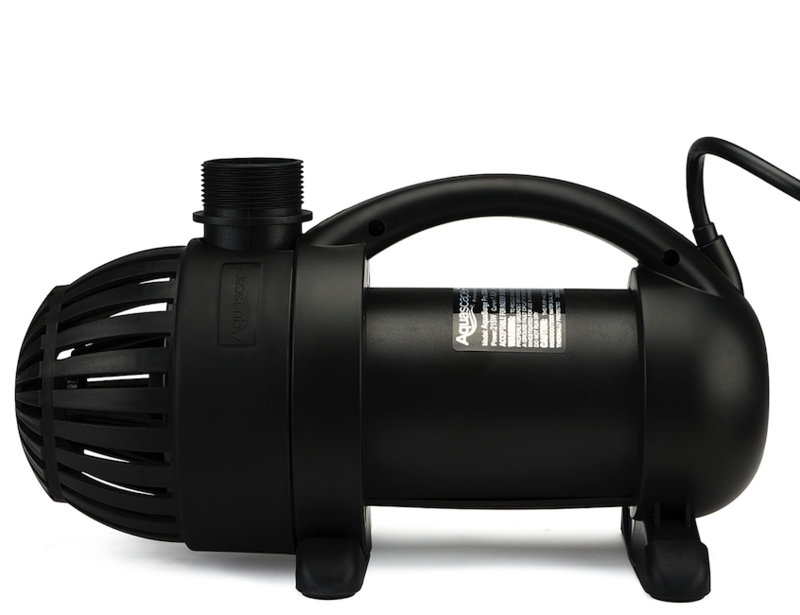 One of our Certified Pond Contractors will choose the best submersilbe pump for your situation. Installing a new pump will save you money on your monthly electrical bill. 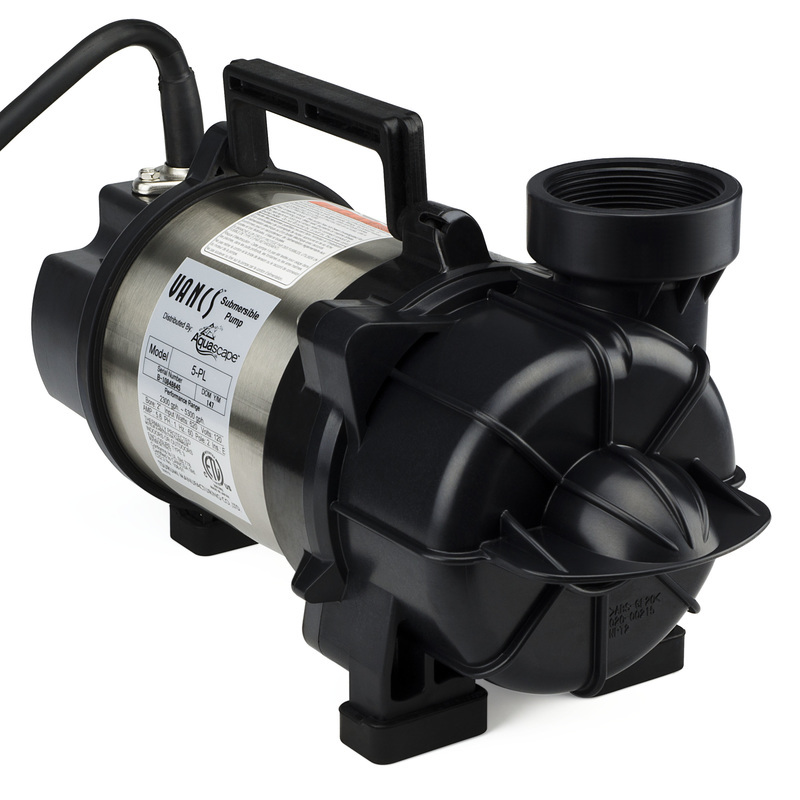 In many cases, our pumps pay for themselves easily within the first year with the energy savings! 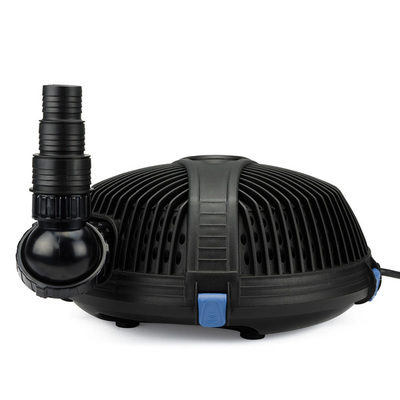 Sump pumps found at your local hardware store should not be used, these pumps use a lot of energy and are not intended to run continuously. 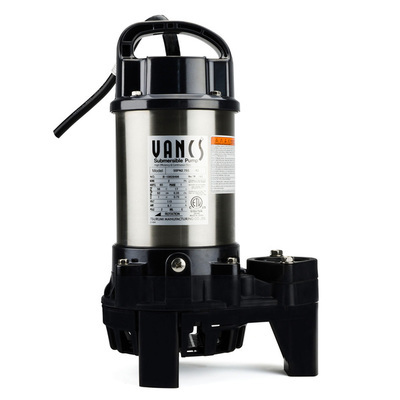 Sump pumps have a low initial purchase price, but they use on average 3 times more electricity compared to a true pond pump. 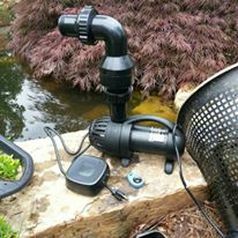 Most pond pumps are installed in a skimmer filter box at the edge of the pond. 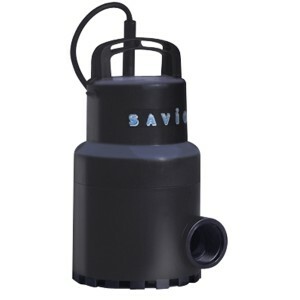 If your pump is at the very bottom, it requires a different kind of submersible pond pump. We can install your new pond pump using your existing plumbing in most cases. If any PVC work is required, our trained and certified staff can make the modifications. 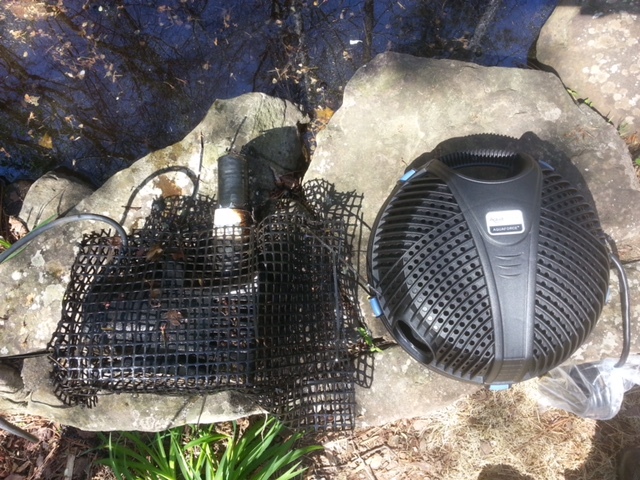 The ideal place for a pond pump is in a skimmer filter. 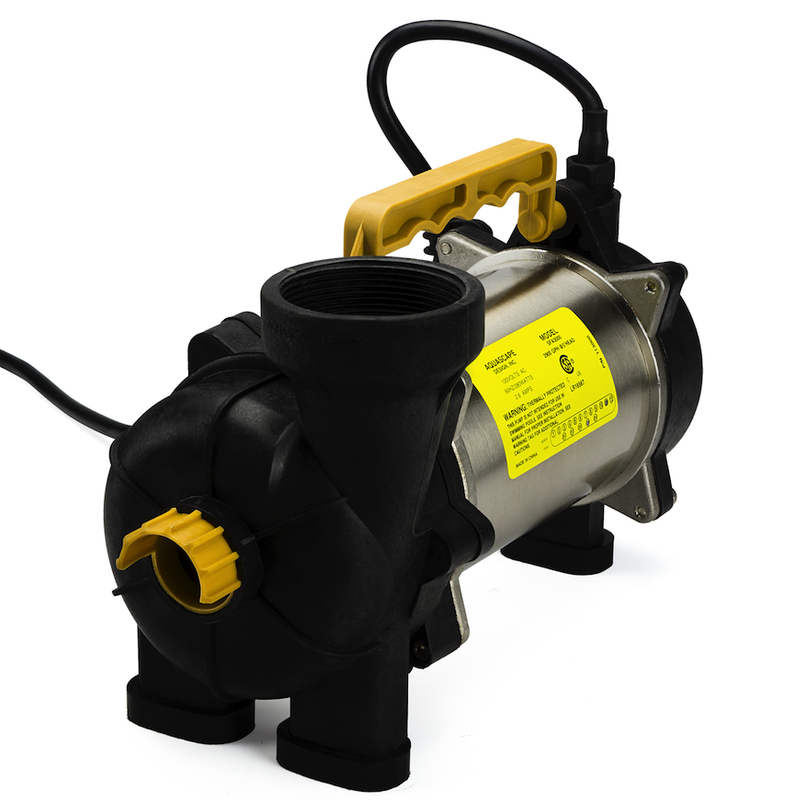 Each koi pond pump has a sticker on it giving us valuable information to find a comparable replacement. Try pulling your pump out of the pond or skimmer box to take a closer look at this information. Typically the exact pump is not recommended because of advancements in pumps with better energy efficiently. A Certified Pond Contractor will suggest the proper pump for your unique pond and plumbing situation to ensure the longest pump life possible. In the two examples on the lower right, the bottom left pump uses 650 watts, the number by the W. In this particular model, it pumps a max of 3600 GPH or gallons per hour. 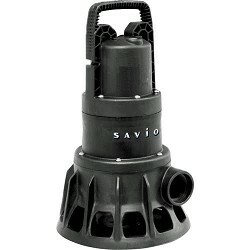 The brand name may also be listed on the pump, in this case it's Savio. The pump on the upper left is a VANCS pump and it uses 1/2 hp. 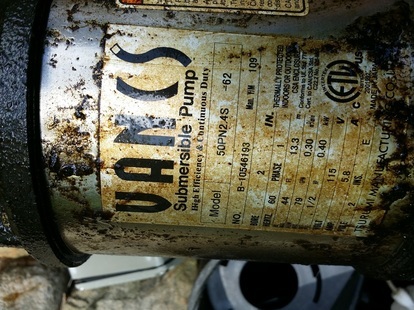 The two most important pieces of information on the pump sticker is Amps or Watts being used and water flow rate. 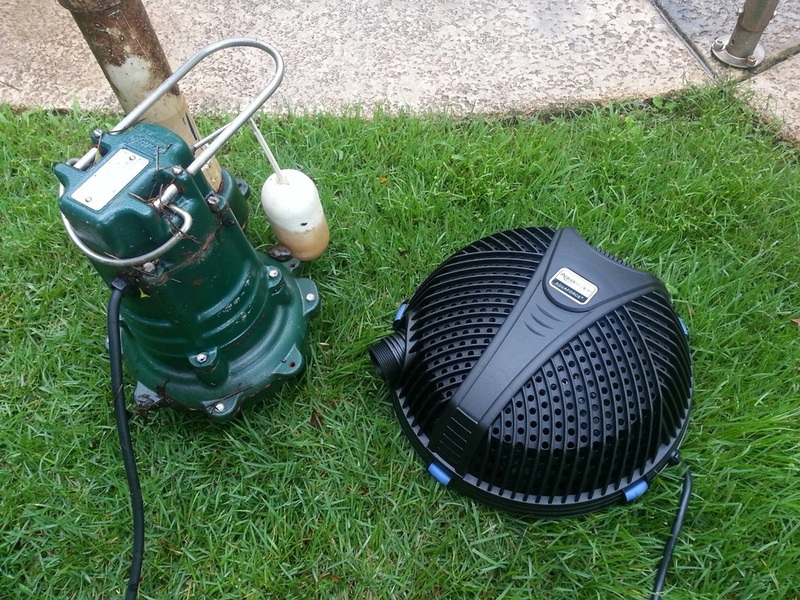 A Tsurumi Vancs submersible koi pond and waterfall pump showing 1/2 hp 50pn2.4s. 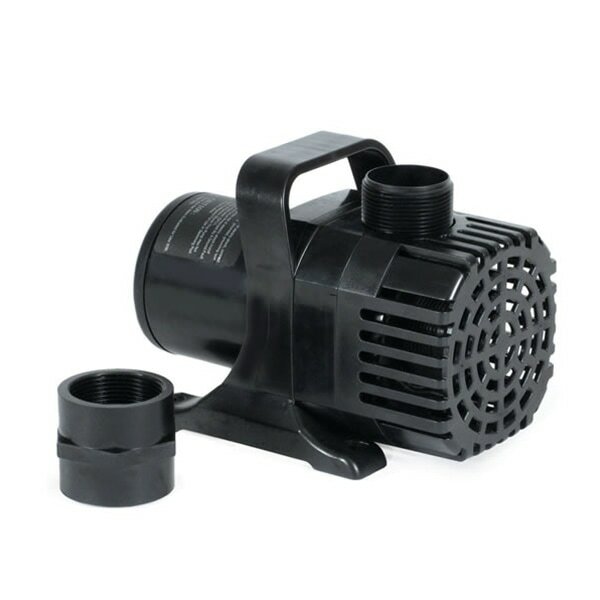 This is a popular waterfall pump to find in a skimmer filter. 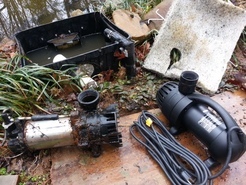 A savio koi pond pump information for a local Alpharetta, GA customer's pond. This pump is being replaced with a more energy efficient submersible pump. This pump uses 650 Watts. Submersible (in the water) External (out of the water) I'm not sure Is it in a skimmer box on the edge of the pond? Is your pump on the bottom of the pond?